Decisions on home improvements vary by want, need, and return. It's often hard to calculate a home improvement return on investment, as one high-end appliance or custom tile selection can radically change the budget. However, real estate and contracting professionals agree that some improvements always add value to a home. Remodeling magazine issues an annual cost versus value report that evaluates the rate of return on certain projects. 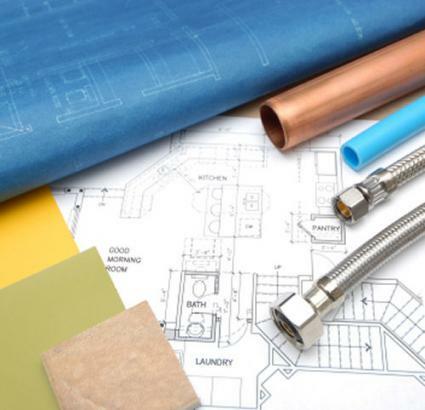 Broken down into 33 different home improvements, with more than 80 major cities listed, it's possible to find out what the current rate of return is in your area. If you're on the fence about an improvement, and want to know how much you'll recoup, start here to get a general feel for the market. Keep in mind that as the real estate market fluctuates, so does the rate of return on projects. Check current rates each year before attempting any renovation to get a more accurate picture. This bears repeating: you will never truly recoup your home improvement return on investment at 100 percent. Nevertheless, certain upgrades and remodeling projects hold value longer, attract a buyer's eye more quickly and, most importantly, add a sense of pride and pleasure while you continue to live in the home. Here are just a few figures from Remodling magazine's most recent report. Family rooms also continue to be popular additions, but obviously, as the facts demonstrate, the most lucrative home improvements update and repair the quality and structure of the home, especially in the most highly used areas. Energy efficiency is another major factor when considering what to mend and polish. Even a home built in the late 19th century can benefit from consistent maintenance that will help it stay attractive. Review Remodeling magazine's website for more information. Do some soul searching to really determine how long you're going to live in the home, and what immediate repairs and upgrades will impact you directly. Many improvements simply need to be done, and although general enhancements like a new cement driveway may not be as jazzy as a glass wall partition with a circulating fountain, in the long run, the well-maintained basics help your home retain value. This applies to landscaping as well. Not everyone is a master gardener, so a backyard that practically cries out for a daily visit from a horticulturalist may not be as attractive to some buyers. But, if you love gardening, take good care of the garden for your own well-being, not because it might up the resale value. Real estate experts agree: buyers aren't always looking for the sleekest gadgetry or mahogany cabinets. In fact, it may surprise you to know that some buyers may be put off by your cosmetic home improvement choices. So the criteria for estimating your home improvement return on investment is what matters most to you, and what your budget will allow. Hopefully, if you need to sell, the total presentation of your home, including interior staging and enhanced curb appeal, will make your home an irresistible choice.